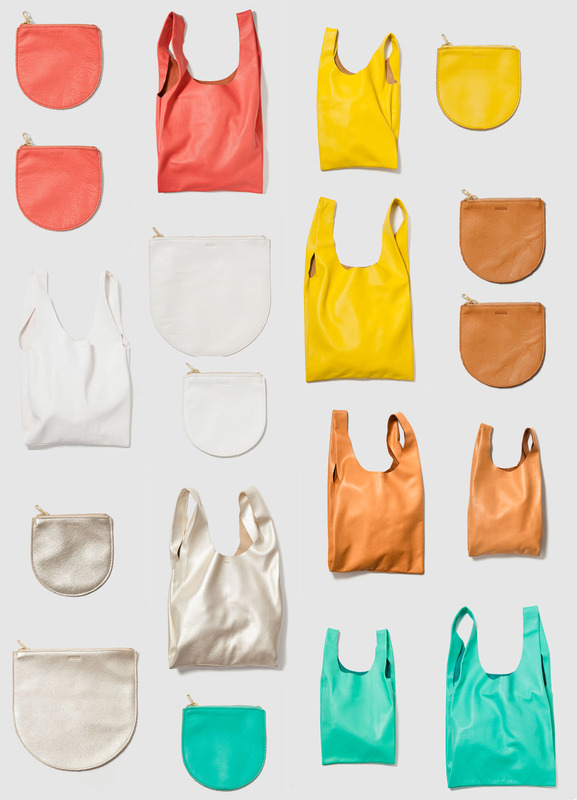 Spring BAGGU | Ooh, my favorite! I’ve written about my love affair with my Baggu bags in the past, so with the introduction of leather bags a while back, and now this new Spring color line, I realize it may be time to update my collection. The naturally milled leather looks super-soft, no? I guess I should admit that I’m pretty hard on my nylon bags so I’d have to think about the best way to use the medium leather bag in a slightly different capacity; I’m not sure it’d do so well with the way I navigate the farmer’s market. Perhaps I’ll start with a small pouch and give it a go. Check out their full collection here.